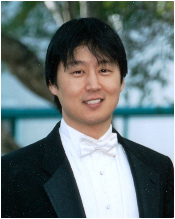 Peter Park is the director of orchestras at Mira Costa High School. Mr. Park graduated from UCLA with high honors with a dual emphasis in music education, under the mentorship of Gerald and Linda Anderson, and percussion performance, under the tutelage of Mitchell Peters. He earned his M.Ed. from UCLA’s School of Education & Information Studies while re-pursuing studies on his first instrument, the violin. During this time, Mr. Park earned top prizes in the Grancell Foundation Solo Competition and the Atwater Kent Solo Competition. He has also had the pleasure of performing with several outstanding orchestras, including the San Francisco Symphony and the Tanglewood Festival Orchestra. Collaborations with internationally renowned conductors include Herbert Blomstedt, Zubin Mehta, Seiji Ozawa, Robert Spano, and Peter Oundjian. Before joining the Mira Costa music faculty, Mr. Park taught in the El Segundo and Santa Monica-Malibu Unified School Districts. Additionally, he has served as clinician, adjudicator, and guest conductor for several organizations and school districts in Nevada, Ohio, Oregon, and throughout California. Recent guest conducting appearances include the Southern California School Band & Orchestra Association (SCSBOA) All-Southern Honor String Orchestra, the San Bernardino County Music Educators Association Middle School Honor Orchestra, and the Capistrano Unified School District High School Honor Orchestra. Since 2001, Mr. Park has also mentored several apprentice teachers from CSULA, UCLA, and USC.